Well, two years after the idea first emerged to create our own Calendar Girls-style charity calendar we have wound up the fund and handed over a final cheque for £2,560.39 to the Midlands Chairman of Leukaemia and Lymphoma Research. In total we raised £2649.89, including donations made on our Just Giving page which went straight to the charity. 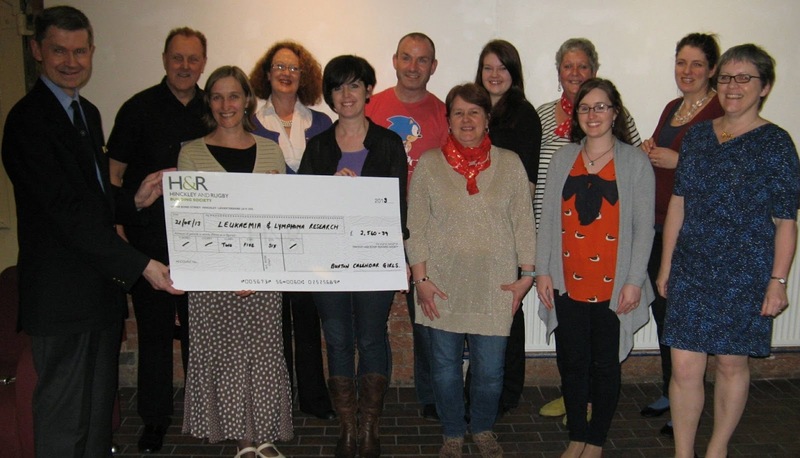 John Purser kindly travelled down from Coventry to Burton-on-Trent last night to meet as many of the Calendar Girls who could make it and take possession of the cheque. With us were Little Theatre Company's chairman Peter Clemson and Artistic Director John Bowness - because obviously we could not have done it without them. It was their decision to stage the play Calendar Girl which inspired us to create our own calendar and raise as much as we could for the charity that is fighting to beat all blood cancers. They supported all our publicity efforts and let us launch the calendar at last September's Little Theatre Company Playathon day. 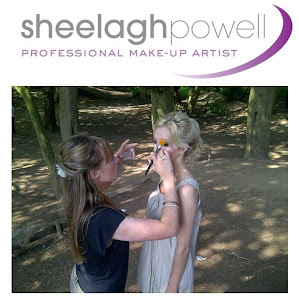 We'd also like to thank our talented photographer and calendar designer Tilley Bancroft and make-up artist Sheelagh Powell who supported us at last summer's photoshoot. 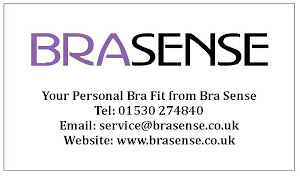 Thanks also to Sara of BraSense who supported us with secret underwear during show week! 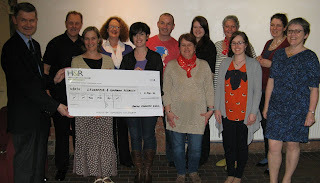 We would like to thank the people of Burton who gave to our fund so generously. We know times are hard and lots of good causes are competing for donations - so we are grateful for every penny given by the audiences who came to our show week in March 2013 as well as those who bought the calendar. Thanks to our MP Andrew Griffiths who was quick to ask how he could help and posed for a photo with us when he bought a calendar to hang in his office at the House of Commons. Thanks to George Gunby who sold our calendars at his Calendar Club stall in Cooper's Square in the run-up to Christmas and Pint Arts Festival who let us have a stall at their craft fair and the Burton town centre management who let us have a stand at the Christmas lights switch on. Thanks to Sarah Spencer, who was a superbly organised treasurer, and all the other Calendar Girls who played their part in making the project a success and beating our original target of £2,500. It's been an unforgettable experience.